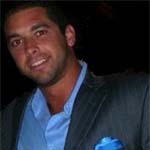 Jordan Robinson is a sports agent with GRV Sports Agency based out of Orlando, Florida. Recently he was kind enough to answer interview questions for us. Below are the questions and his answers. Why did you become a sports agent? Jordan Robinson – I became a sports agent because I am very passionate about sports and about helping others. I have always loved playing sports since I was a little kid and I even got a chance to play basketball at the collegiate level. Since I wasn’t good enough to play sports professionally, I knew I could use my sports knowledge and my drive to make others happy by becoming a sports agent. What do you do in a typical day, week, or month? JR – A typical day for me involves talking to all of my clients to make sure they have everything that they need and to make sure they are content with where they are at. Also, my partners and I will travel around to various colleges and ballparks and try to meet players and coaches and let people know that our agency is ready to help anyone who needs it. How did you get started as an agent? What kind of training/school? JR – Just like anyone who wants to start their own company, starting a sports agency takes a lot of time and hard work. In order to represent players in certain leagues, such as the National Football League, you need to have achieved certain requirements and take a lot of tests. I went to 4 years of college, 2 at Lincoln College in Lincoln, Illinois and 2 at Indiana University in Bloomington Indiana. I then went to 3 years of Law School at Barry University School of Law in Orlando Florida and passed the Florida Bar Exam in July 2007. JR – A good friend of mine who I met in Law School and another buddy of ours started up our agency now known as GRV Sports Agency. The GRV stands for all three of our last names. Gropp, Robinson, and Vrska. What do you feel is the most important part of your job? JR – I feel the most important part of my job is helping others be as happy as they can be. My job all depends on the success and happiness of my clients. If a player of mine is not happy, then I’m not happy. What is your favorite sports memory? What is your favorite part of your job? JR – I have a few favorite sports memories. One would be that in a college basketball game I got a chance to play at then end of the game when time was running out and we were down by 2. I ended up getting the ball with 3 seconds left and I fired up a 3 pointer with a defender right in my face trying to block my shot. I made the basket as time expired and my team won the game. It was a great memory and an even better shot! Also, I attended a summer camp in Eagle River, Wisconsin called Camp Ojibwa which was primarily a sports camp with very intense competition for 8 weeks. For the last week of camp everyone is divided up into 12 colleges and drafted like any professional sports draft. My last year as a camper I was drafted at the 7th pick of the 1st round which made me the captain of my team. We ended up winning the week long competition which is called Collegiate Week. I will never forget that day. People go to this camp for their entire lives and never get a chance to win, so that was a very exciting time for me. My favorite part of my job is getting to meet so many interesting people and athletes. Thank you for your time and good luck to everyone! Thank you Jordan for taking time to answer our questions. We will try and get an interview up once a week for the rest of the school year. Next week we will be interviewing an architect.